I know it’s only started to cool down outside, but fall is undeniably coming. For some people, this is a huge relief. Others are kicking and screaming as they cook out one last time this holiday weekend and try to catch a few final rays at the beach. Though I’m not much of a cooker-outer or a beach girl, I do really love summer. I love that I can just throw a dress over my head, slip on some shoes and be out the door. I love that I don’t wake up shivering if the covers fall off me at night. I love SUMMER FRUIT. I also, however, really adore a lot of things about fall. For instance, the fashion. As a short, relatively curvy lady, I do not care for drapey summer clothes that look frumpy on anyone who’s not a six foot tall beanpole. I also look horrendous in bright, fun summer colors. I can rock a fall outfit, though. Dark greens, purples, grays, fitted jackets and pencil skirts…I can do those. 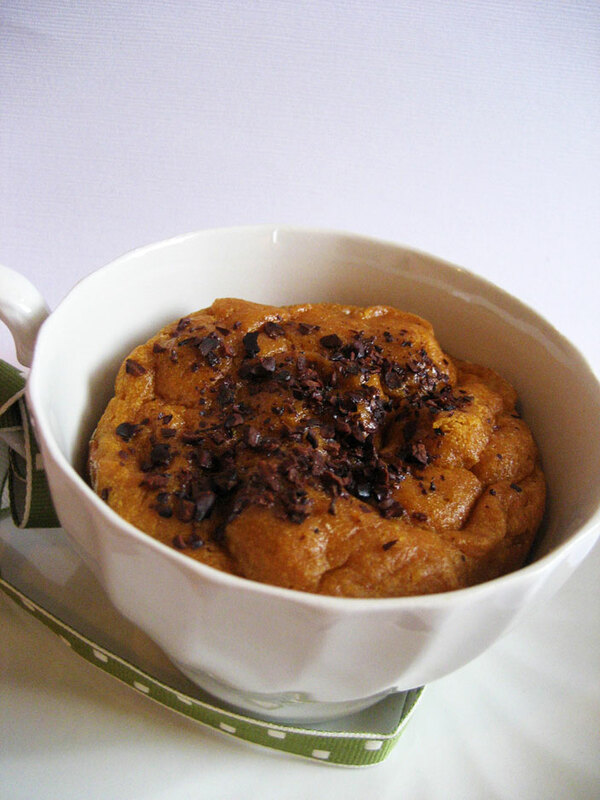 I will never get tired of pumpkin and chocolate together. Want to know what else I can do exceptionally well in the fall? EAT PUMPKIN. Preferably in baked goods with lots of spices and a dash of chocolate. Oh yes. 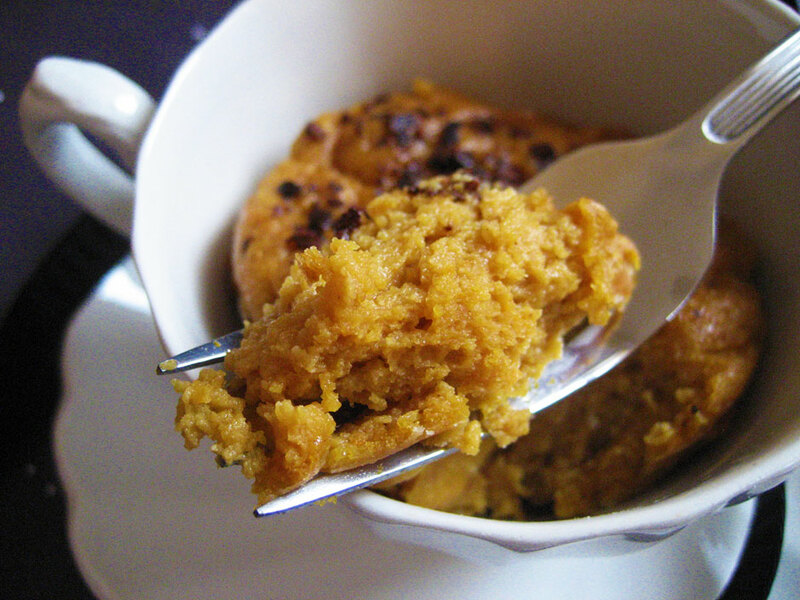 …Aaaanyway, I wanted to do some kind of baked pudding to encapsulate the warm, comforting feeling of fall foods. So I Googled “ricotta pudding” and came up with…budino. 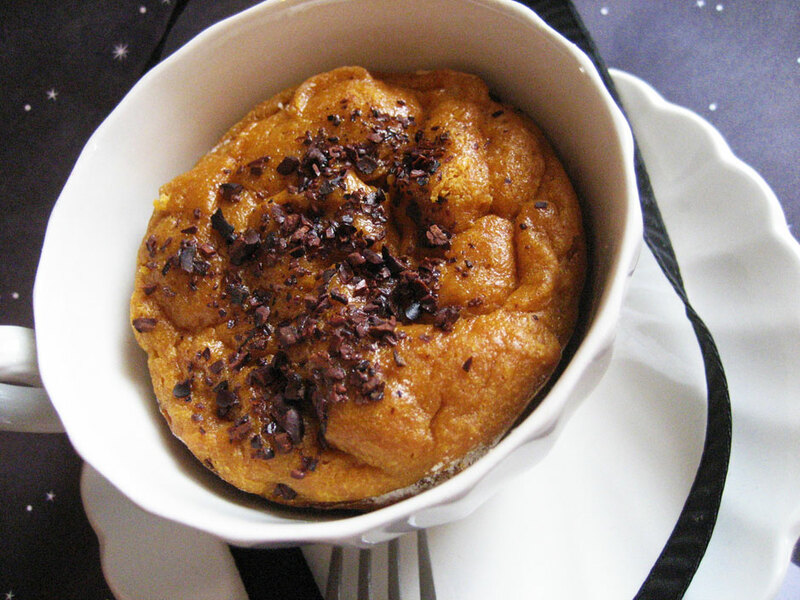 Further investigation revealed it to be Italian baked pudding, and one of the first results I came up with in my initial search was pumpkin-ricotta budino. Yessss. What goes better with ginger and dark chocolate than pumpkin? How about NOTHING. The recipe I based this off of called for orange zest, but I didn’t have an orange and didn’t feel like buying one so I substituted a few drops of orange blossom water. I don’t think it made a difference; I can never taste that stuff anyway. If you want a little citrus zip feel free to add it back in. I also omitted the pecans and sprinkled cacao nibs on top before baking instead – that’s my “dark chocolate.” It doesn’t get any darker than that! Look Halloween-ish? You're lucky I restrained myself and didn't use the glittery spider ribbon. Preheat the oven to 350F. Butter and flour a large or 4-6 small baking receptacles (I used small ramekins). Separate the eggs; set aside. Thoroughly blend the pumpkin and ricotta, then mix in the egg yolks and orange blossom water. Mix in the sugar and spices, making sure to completely crush any lumps of brown sugar, if using. In a separate bowl (use stand mixer or hand mixer), whip the egg whites to stiff but not dry peaks. Plop the whites into the pumpkin-ricotta mixture and fold gently but thoroughly. Pour the batter into the prepared baking receptacles, not quite filling them to the top, so they don’t spill over the edges. Sprinkle with cacao nibs. Bake 30-40 minutes for individual servings, up to an hour for one big budino. You can tell they’re done when you poke them in the middle and they’re firm to the touch. If removing from baking receptacle(s) before serving, let cool a couple minutes first. Serve warm, with cider, tea or coffee. I actually quartered this recipe when I made it for myself. Z was here this weekend but I made this after he left, since I was already busy all weekend making ginger ice cream for a school event (more on that later). Plus I needed some yummy comfort food to combat the post-boyfriend lonelies. This plus some good, strong black tea definitely hit the spot for quite a while. Oooh, you’re making ginger ice cream?? Can’t wait to read more about that!! I have never heard of Budino and now I’m quite curious. Hard to think Fall here when it’s still hot, but i certainly ready for it and you’ve given me a delicious reason. Nom nom! Pumpkin and chocolate sounds so delish and the crusty golden looks like sunset! This sounds fantastic Anna. I have a treat for you as far as baking papers go. Where shall I send the preview as your eyes get to see this first. Ooh, email sent! Thanks for the heads up! I do love me some pretty cupcake liners! Mmmm… that sounds lovely. 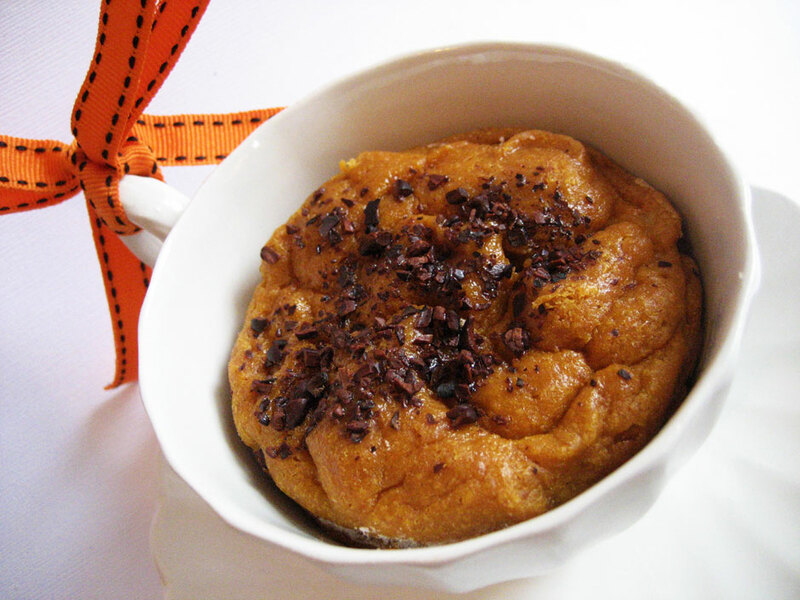 Don’t think I’ve ever had budino, but it does sound like something to keep you warm for the darker part of the year. Oh, and welcome to Paper Chef, nice to have you aboard! It’s lovely Anna, just lovely.Just the right combination for changing seasons! Thank you for enjoying my choice of ingredients!